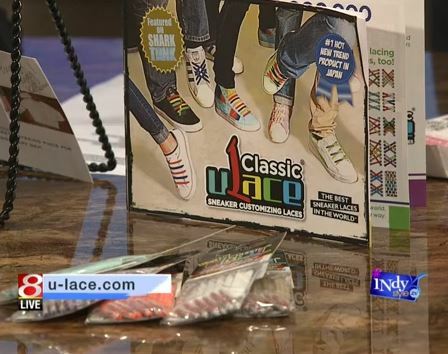 Congratulations to our Client U-Lace for their feature on IndyStyle! U-Lace areÂ modular shoe laces giving youÂ limitless ways to customize and configure the look of your sneakers.Â Â In addition to picking colors U-Lacers also get to pick lacing patterns; diagonals; parallels, teeter-totter, basket weave, etc. Â Currently there are about 40 known U-Lace lacing patterns available. Once laced with U-Lace, sneakers instantly become easy-on/easy-off slip-ons that never need to be tied again. Even skateboarders swear by U-Lace because the stretchy nature of the product allows the product to give and go during hard skating and tricks. Color your world! Check them out at u-lace.com!